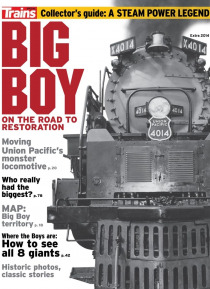 Trains magazine has exclusive coverage of Big Boy No. 4014’s return to steam for the first time since 1959. Big Boy: On the Road to Restoration tells the inside story of the beginning of the engine’s historic journey.